The Golden-cheeked Warbler is a small, migratory songbird, 4.5 to 5 inches long, with a wingspan of about 8 inches. The male has a black back, throat, and cap; and yellow cheeks with a black stripe through the eye. Females are similar, but less colorful. The lower breast and belly of both sexes are white with black streaks on the f lanks. Typical nesting habitat is found in tall, dense, mature stands of Ashe juniper (blueberry cedar) mixed with trees such as Texas (Spanish) oak, Lacey oak, shin (scalybark) oak, live oak, post oak, Texas ash, cedar elm, hackberry, bigtooth maple, sycamore, Arizona walnut, escarpment cherry, and pecan. This type of woodland generally grows in relatively moist areas such as steep-sided canyons, slopes, and adjacent uplands. A mix of juniper and deciduous trees on the slopes, along drainage bottoms, and in creeks and draws provide an ideal mix of vegetation for these birds. Warblers can also be found in drier, upland juniper-oak (i.e., Texas oak, live oak, post oak, blackjack oak) woodlands over flat topography. Warblers need a combination of mature Ashe juniper and hardwood juniper trees vary in age and growth form, depending on site factors. Generally, trees required for nesting habitat are at least 15 feet tall with a trunk diameter of about five inches a four feet above the ground. The essential element is that juniper trees have shredding bark, at least near the base of the tree. Although the composition of woody vegetation varies within suitable warbler habitat, Ashe juniper is often, but not always, the dominant species. One study showed that juniper comprises anywhere from 10-90% of total trees in occupied habitat at 27 sites scattered throughout the breeding range. 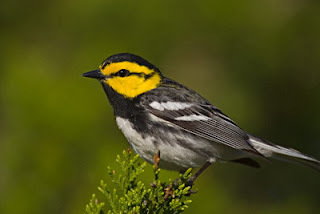 Golden-cheeked Warblers have been found in patches of habitat smaller than 12 acres, although populations of warblers in larger tracts of woodland habitats will persist longer than populations in small tracts of land. With increasingly fragmented habitat, smaller patches may become more important to warblers, particularly those located near areas of occupied habitat. In general, Golden-cheeked Warblers occur in areas with a moderate to high density of older trees, and dense foliage in the upper canopy. Higher warbler densities are associated with larger contiguous patches, greater average tree height, greater variability in tree heights, and greater density of deciduous trees. The Golden-cheeked Warbler’s entire nesting range is currently confined to habitat in 33 counties in central Texas. The birds are dependent on Ashe juniper (blueberry juniper or cedar) for fine bark strips used in nest construction. Although nests may be placed in various species of trees, such as juniper, Texas oak, live oak, and cedar elm, all nests contain strips of Ashe juniper bark woven together with spider webs. Warblers feed almost entirely on caterpillars, spiders, beetles, and other insects found in foliage. The birds are thought to take advantage of insect blooms associated with different plants as the growing season progresses. For example, broad-leaved trees and shrubs, especially oaks, are particularly important in providing habitat for insects during the first part of the nesting season. Later in the season, warblers are frequently seen foraging in Ashe juniper. Mesic (relatively moist) conditions, such as those found on wooded slopes, canyon bottoms, and along creeks and draws, are especially favorable for the production of insect foods. Depending on the location and quality of habitat, Golden-cheeked Warblers forage and nest in areas of habitat ranging in size from five to 20 acres per pair. 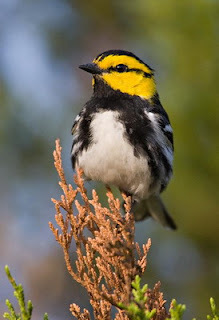 Within suitable nesting habitat, male Golden-cheeked Warblers occupy an area, called a territory, which is vigorously defended against all other male Golden-cheeked Warblers. Nesting territories range in size from three to ten acres, depending on habitat quality. Banding studies show that males often occupy the same territory in subsequent breeding seasons. Male warblers can often be located through their territorial song, described as a rather hurried, buzzy “tweah-tweah-t wee-sy.” Single, sharp “chipping” calls can frequently be heard as Golden-cheeks forage among the trees. The female does most of the work of nest building and incubating the eggs. The cup-like nest is often neatly tucked into the fork of a vertical limb and camouflaged to blend with the bark of the tree. Nests are constructed at an average height of 15 feet above ground, although they have been found as low as five feet and a s high as 32 feet. The male stays close by, singing his distinctive song and defending his territory during incubation. During April, a single clutch of three to four eggs is laid. Warblers usually nest only once per season, unless a nest is lost to accident or predation. The eggs hatch in 12 days, and both parents care for the young. After the young hatch, male singing declines, although they can still be heard into June. Nestlings fledge eight or nine days after hatching, but remain in the vicinity of the territory for at least four weeks while being cared for by both parents. Golden-cheeked Warblers migrate to their wintering grounds in the pine-oak woodlands of southern Mexico (Chiapas), Guatemala, Honduras, and Nicaragua from late June to mid August. They return to Texas in early to mid-March. The most serious problems facing the Golden-cheeked Warbler today, as in the recent past, are habitat loss and fragmentation. Since warblers have limited and specific habitat requirements, direct habitat loss has resulted in population reduction, although precise comparisons of historic and current populations are not available. Recently, serious losses in nesting habitat have occurred in counties such as Travis, Williamson, and Bexar, where rapid urban development has spread into oak-juniper woodlands associated with canyonlands. Flood control and other impoundments have also reduced habitat for the warbler by inundating the juniper-oak woodlands existing on canyon slopes and bottoms along springs, streams, and rivers. Construction of large reservoirs has also led to loss of warbler habitat due to development of lake-side communities. Historically, some warbler habitat was lost as a result of clearing juniper/oak woodlands for increased livestock production or improved livestock handling. Stands of large juniper trees were also cut for sale as fence posts and other timber products, especially before 1940. Over-browsing by white-tailed deer, goats, and exotic ungulates is believed to contribute to habitat degradation by reducing the survival of seedling oaks and other deciduous trees, which a re a vital component of warbler habitat. A lso, many of the deeper and more fertile soils in much of the Hill Country a re found in small floodplains along creeks or intermittent streams associated with hillside drainage. Many of these a reas, some of them supporting a variety of decidu ous trees, were clea red and converted to forage crops and pasture, often resulting in a decrease in the amount of wa rbler habitat. Poor grazing management practices and fire suppression result in a decline in the diversity and productivity of rangeland. The decline in range condition associated with improper management has led to increases in juniper throughout the Hill Country. Brood parasitism by Brown-headed Cowbirds may threaten successful reproduction of Golden-cheeked Warblers, although the degree of impact of cowbird parasitism on war bler productivity is not fully understood. Cowbirds lay their eggs in other birds’ nests, leaving the host bird to raise the cowbird young. Golden-cheeked Wa rblers appa rently will either abandon parasitized nests, or raise young cowbirds in addition to or in place of their own young. Warblers that abandon parasitized nests may renest later in the season. However, abandonment of first clutches, or rais ing cowbird young in addition to their own, decreases the total number and survivability of Golden-cheeked warbler young produced. Habitat fragmentation reduces the quality and quantity of warbler habitat. In small woodland patches, the increased proportion of habitat edge to interior area may increase rates of brood parasitism and predation, so that the surviving populations cannot maintain themselves. Also, increased distances between patches may make recolonization of vacated habitat more difficult. 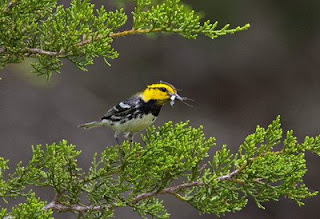 In Texas, Mexico and Central America, habitat management and pro tection, responsible land stewardship, and incentives for landowners to maintain and develop habitat, are keys to the survival and recovery of the Golden-cheeked Warbler. The diverse mix of hardwoods and junipers in canyons, and on slopes and adjacent hilltops, provide ideal habitat for the warbler. Numerous beautiful and interesting native plants and animals are also found in these canyons. Research is underway to better understand the life history, habitat require ments, limiting factors, and land management practices affecting the Golden-cheeked Warbler. Population surveys during the breeding season are being conducted in known and potential habitat areas. Efforts to provide information and educational opportunities to landowners and the public regarding life history and habitat requirements of the warbler are also a vital part of the recovery effort. Major recovery efforts are being conducted on Department of Defense’s Fort Hood and Camp Bullis, Travis County and the City of Austin’s Balcones Canyonlands Preserve, the U.S. Fish and Wildlife Services’ Balcones Canyonlands National Wildlife Refuge, and many properties owned and/or managed by the Nature Conservancy. Additionally, Environmental Defense through their Safe Harbor Agreement with the U.S. 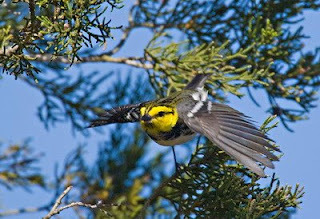 Fish and Wildlife Service is assisting many landowners to manage and/or create habitat for the benefit of the warbler. Voluntary cowbird trapping is being conducted by more than 400 landowners in counties throughout the range of the warbler. Recently, a consortium of researchers in governmental and non governmental agencies has proposed a multinational effort to better understand and coordinate approaches to managing and recovering the Golden-cheeked Warbler. Additional research in Mexico and Central A merica is planned to gather information concerning life history and habitat requirements on the wintering range. Studies are needed to assess the potential for income generating activities, such as selective harvest of juniper, which may be compatible with habitat protection. A number of state lands, including Colorado Bend State Park (SP), Dinosaur Valley SP, Garner SP, Guadalupe River SP, Honey Creek State Natural Area (SNA), Hill Country SNA, Kerr Wildlife Management Area, Longhorn Cavern SP, Lost Maples SNA, Meridian SP, Pedernales Falls SP, and Possum Kingdom SP offer opportunities for people to see Golden-cheeked Warblers and their habitat. Other locations include the Balcones Canyon lands National Wildlife Refuge, Travis Audubon Sanctuary, Wild Basin Preserve, and Emma Long City Park in the Austin area; and Friedrich Wilderness Park near San Antonio. 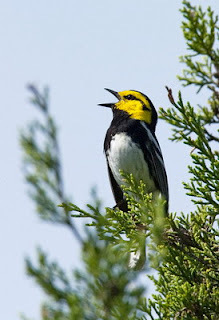 Onceopen to the public, Government Canyon State Natural Area, located northwest of San Antonio, will offer additional opportunities to see Golden-cheeked Warblers. Because the Golden-cheeked Warbler is an endangered species, birders and other observers should carefully follow certain viewing ethics. Recorded calls of the Golden-cheeked Warbler or Screech Owl should not be used to attract birds and observers should be careful not to disturb or stress birds. You can help by providing encouragement and support for private landowners who are managing their land to protect natural diversity and endangered species habitat. Landowners are encouraged to learn the facts about the Golden-cheeked Warbler and its habitat needs, and to protect areas of habitat found on their property. Nature Tourism Coordinator, Texas Pa rks and Wildlife Department, Austin (512) 389-4396; Environmental Defense, Austin (512) 478-5161; or the Nature Conservancy, San Antonio (210) 224-8774. Finally, you can be involved in the conservation of Texas’ nongame wildlife resources by supporting the Special Nongame and Endangered Species Conservation Fund. Special nongame stamps and decals are available at Texas Parks and Wildlife Department (TPWD) field offices, most state parks, and the License Branch of TPWD headquarters in Austin. 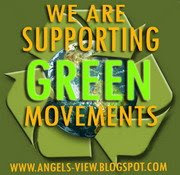 Conservation organizations in Texas also welcome your participation and support. Arnold, K.A., C.L. Coldren, and M.L. Fink. 1996 The interactions between avian predators and golden-cheeked warblers in Travis County, Texas. Research report 1983-2 for Texas Department of Transportation. Coldren, C.L. 1998. The effects of habitat fragmentation on the golden-cheeked warbler. Ph.D. Dissertation, Texas A&M University, College Station, Texas. Fink, M.L. 1996. Factors contributing to nest predation within habitat of the golden-cheeked warbler, Travis County, Texas. M.S. Thesis, Texas A&M University, College Station, Texas. 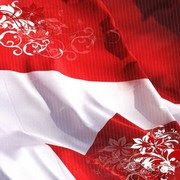 Huss, D.L. 1954. Factors inf luencing plant succession following fire in ashe juniper woodland types in Real County, Texas. MS Thesis, Texas A&M University, College Station, Texas. 77pp. Ladd, C. and L. Gass. 1999. “Golden-cheeked warbler Dendroica chrysoparia).” In The Birds of North America, No. 420. (A. Poole and F. Gill, eds.). The Birds of North America, Inc., Philadelphia, PA.
Mass, D.S. and G.D. Schnell. 1998. “Effects of habitat fragmentation on demographics of golden-cheeked warblers (Dendroica chrysoparia).” Masters Thesis, Part 1 of 2, University of Oklahoma, Norman, Oklahoma. Oberholser, H.C. 1974. The bird life of Texas. University of Texas Press, Austin, Texas. Pulich, W. 1976. The golden-cheeked warbler, a bioecological study. Texas Parks and Wildlife Department, Austin, Texas. 172pp. U.S. Fish and Wildlife Service (USFWS). 1992. Golden-cheeked warbler recovery plan. USFWS, Endangered Species Office, Albuquerque, NM. 88pp. U.S. Fish and Wildlife Service (USFWS). 1996. Golden-cheeked warbler population and habitat viability assessment report. Compiled and edited by Carol Beardmore, Jeff Hatfield, and Jim Lewis in conjunction with workshop pa rticipants. Report of an August 21-24, 1995 workshop arranged by the U.S. Fish and Wildlife Service in partial fulfillment of U.S. National Biological Service Grant No. 80333-1423. Austin, Texas. xii+48pp.+Appendix. Wahl, R., D.D. Diamond, and D. Shaw. 1990. The golden-cheeked warbler: a status review. U.S. Fish and Wildlife Service, Ecological Services Office, Austin, Texas.